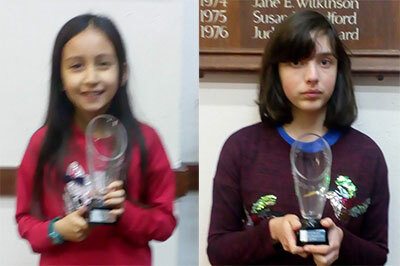 The ECF SE Girls’ Rapidplay Championships, kindly hosted by Kent at Chislehurst School, attracted 88 entries. Sussex was represented by Amelie Rees (U10), Sophie Rees (U12), Elizabeth Finn (U14) and Polina Shchepinova (U14). All the girls scored well with Amelie winning the U10 section with 5½/6; Polina winning the U14 with 5/6; and Elizabeth taking the top U13 title with 3½/6.